According to Los Angeles ear, nose and throat specialist Dr. Larian, the micro parotidectomy a minimally invasive surgery technique, provides patients with a significantly shorter hospital stay and recovery time, as well as minimizes scarring and trauma to the tissue. 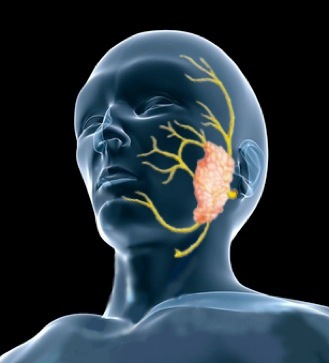 The micro parotidectomy minimally invasive surgery technique pioneered by Dr. Babak Larian significantly reduces recovery time in scarring for patients suffering from Parotid gland problems. 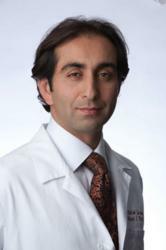 Dr. Babak Larian, of the CENTER for Advanced Head & Neck Surgery in Beverly Hills, routinely sees patients from Southern California, as well as nationally and internationally due to his expertise and pioneering in minimally invasive surgery technique for the treatment of sinus, thyroid, parathyroid, salivary glands and throat disorders. His minimally invasive techniques are beneficial to patients because it speeds the recovery time and minimizes scarring, which is important for patients who need surgery on their face and neck. Furthermore, most procedures can now be done as outpatient, without the need for hospitalization. Dr. Larian specializes in all types of minimally invasive surgery and treatments for the head and neck region, including minimally invasive thyroidectomy, minimally invasive parathyroidectomy, and minimally invasive parotidectomy. Since Dr. Larian specializes in head and neck surgeries, it is important to him to provide his patients with the smallest scar possible. “The head and neck are the most visible areas on the body and patients are always concerned with the scar they will be left with after surgery. I take great pride in being able to minimize the resulting surgical scar through using the most advanced and minimally invasive surgery techniques,” said Dr. Larian. Minimally invasive surgeries have revolutionized the treatments for many head and neck surgeries, and result in less discomfort, quicker recovery and better outcomes than traditional surgery techniques. To treat thyroid disorders, Dr. Larian performs a minimally invasive thyroidectomy. He uses endoscopic surgical techniques to perform the procedure through an incision that is approximately one inch long, leaving an almost invisible scar. The endoscope not only minimizes the scar and trauma to the tissue, but it also magnifies the tissue so the laryngeal nerve and parathyroid glands are highly visible. Dr. Larian is one of the few surgeons in the country who has the expertise to perform minimally invasive parathyroidectomy surgeries to treat hyperparathyroidism, a parathyroid disorder. His surgical technique allows him to access the parathyroid through a very small incision, less than an inch. This approach significantly reduces the risk of surgical complications. Additionally, Dr. Larian is an expert at superficial parotidectomy, a surgical procedure to remove a parotid gland. The superficial parotidectomy only removes the superficial lobe of the grand and presents less risk to the surrounding facial nerve branches. Since this procedure is so minimally invasive, it is performed as an outpatient surgery, allowing most patients to return home the same day. Dr. Babak Larian, the Chairman and the Director of the CENTER for Advanced Head & Neck Surgery in Los Angeles, is a highly experienced and reputable, board-certified ear, head and neck surgeon, specializing in ear, nose and throat surgery. Dr. Larian is nationally renowned for his expertise in minimally invasive surgery techniques in the treatment of sinus, thyroid, parathyroid, salivary glands and throat disorders.